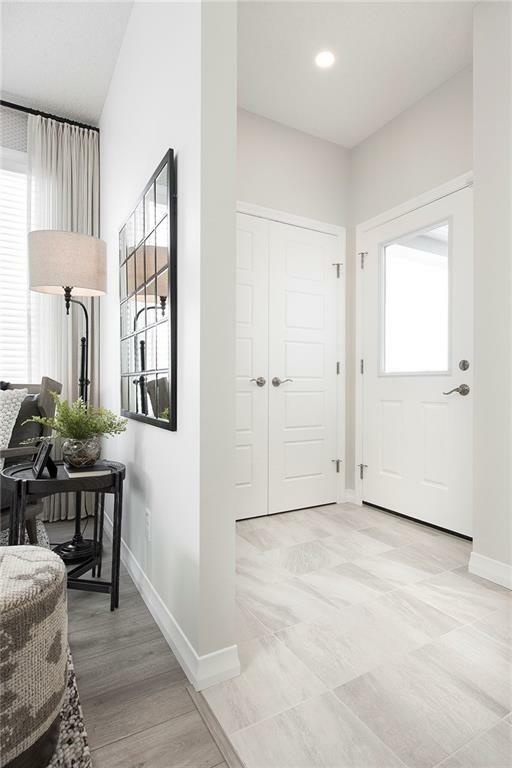 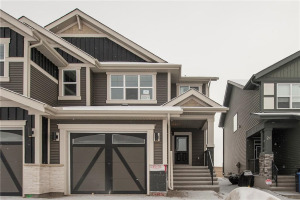 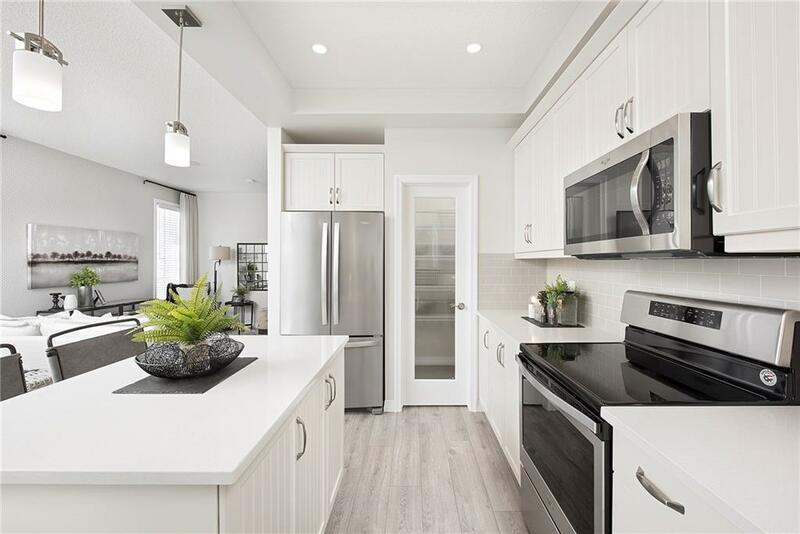 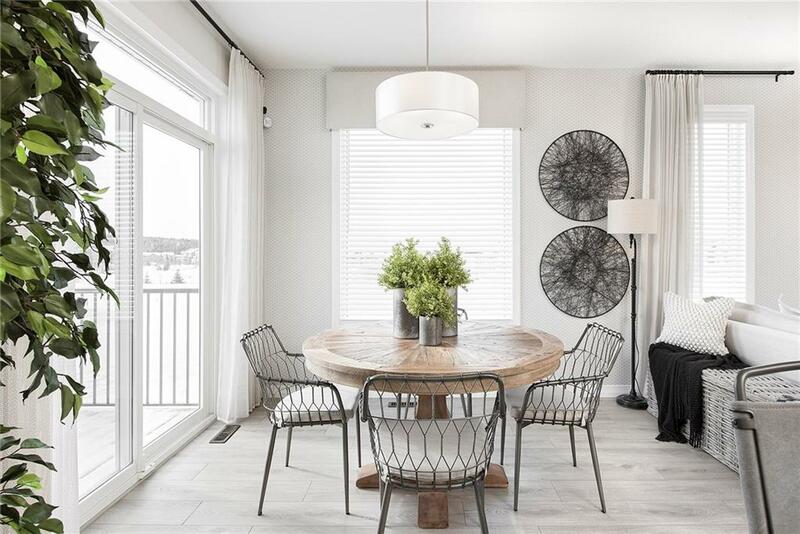 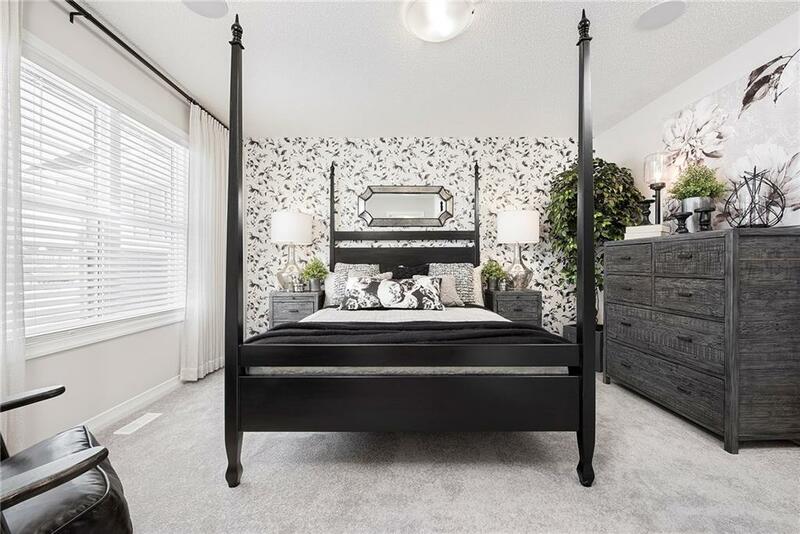 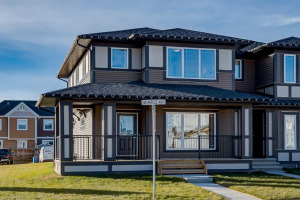 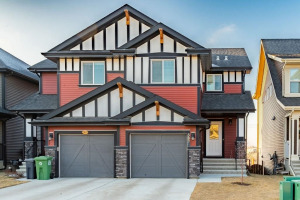 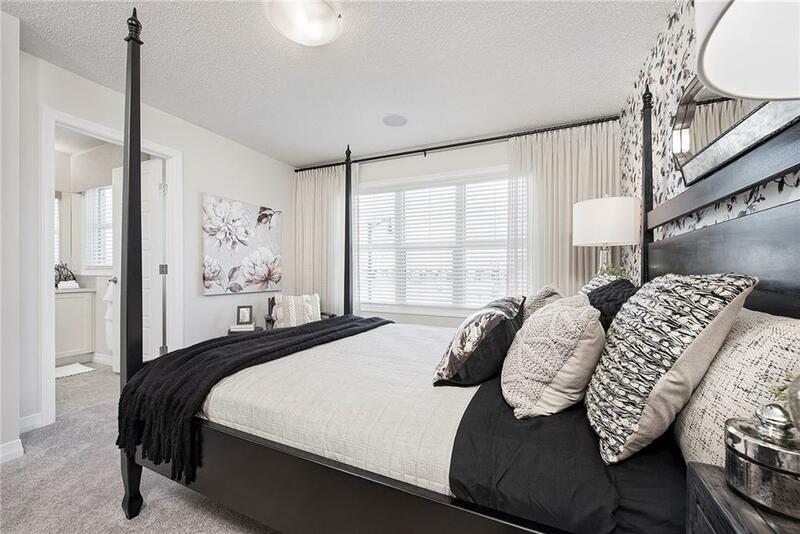 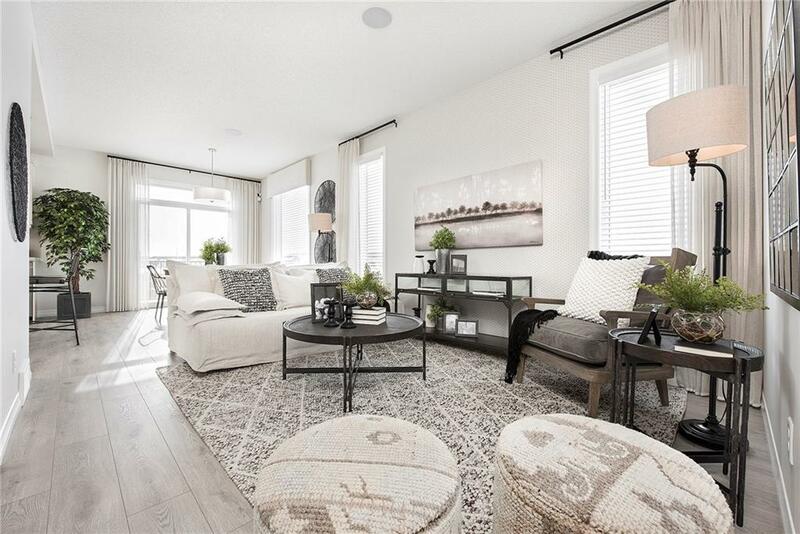 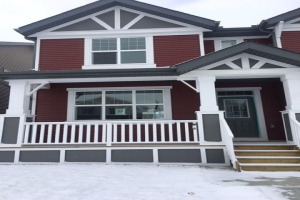 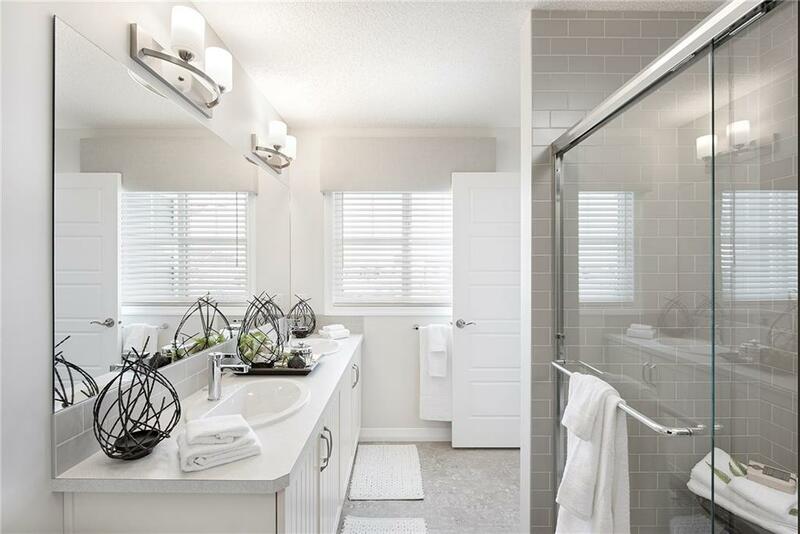 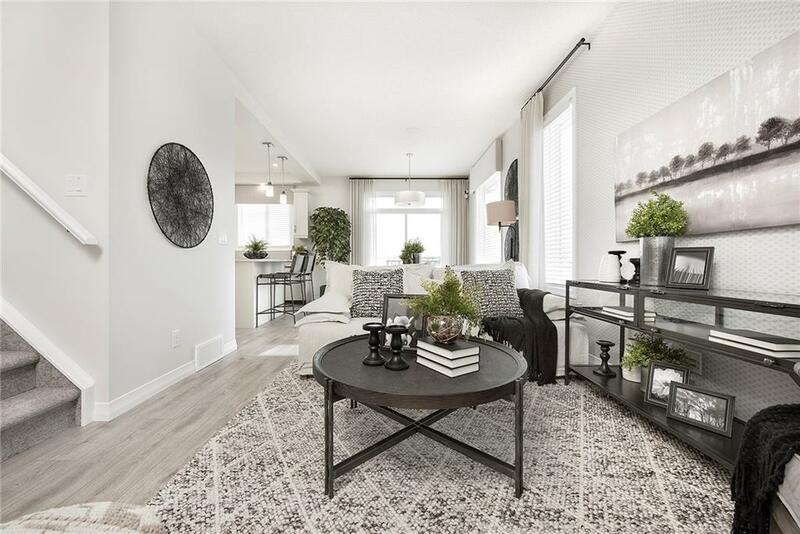 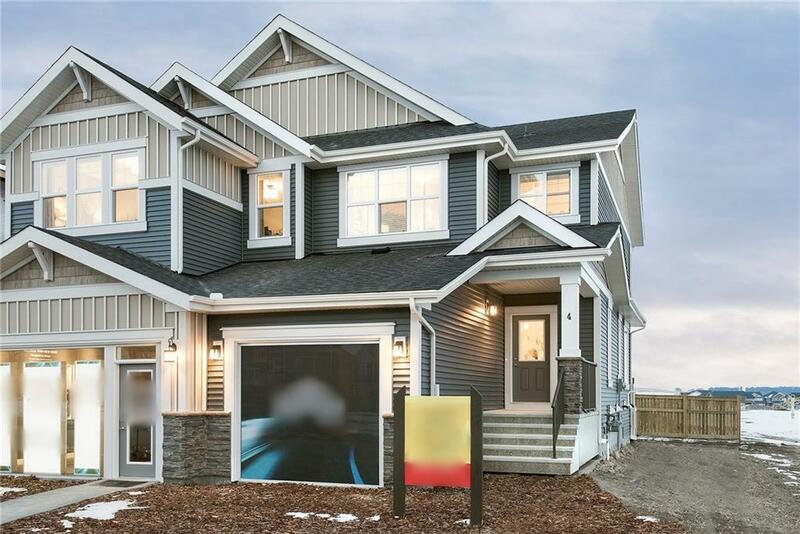 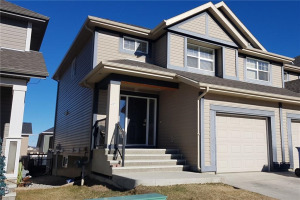 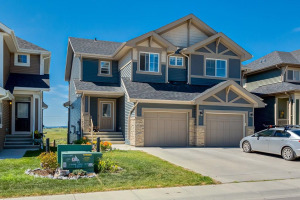 Welcome home to the popular BRAND NEW Jayman BUILT AURORA SHOW HOME! 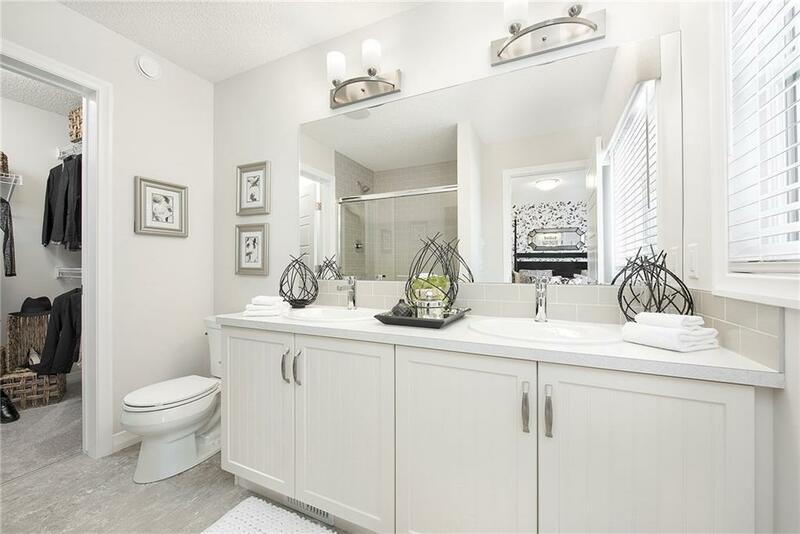 A beautiful home located in the great community of SUNSET! 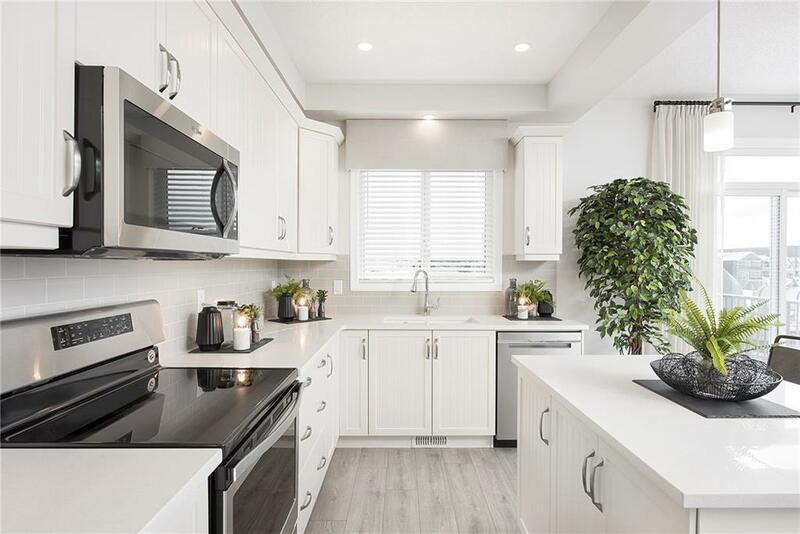 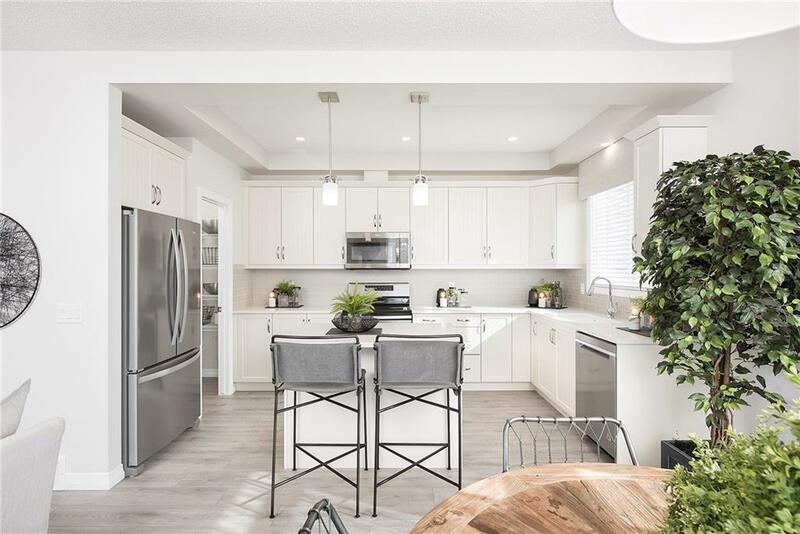 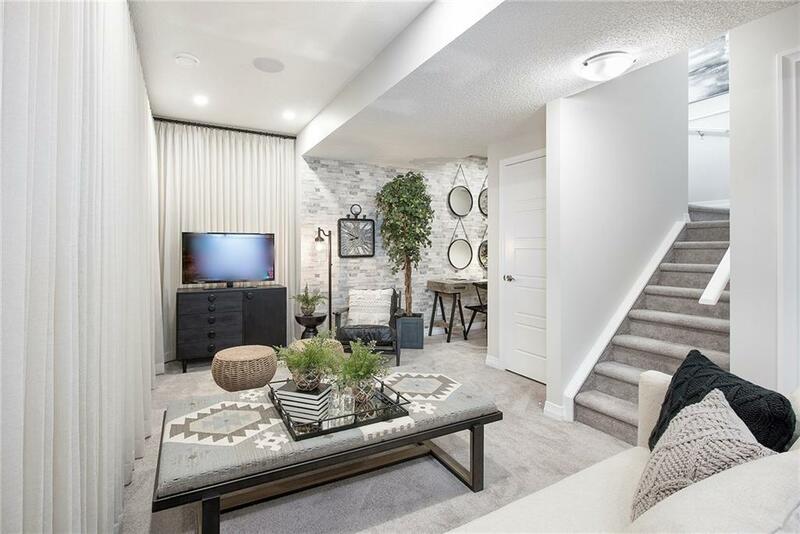 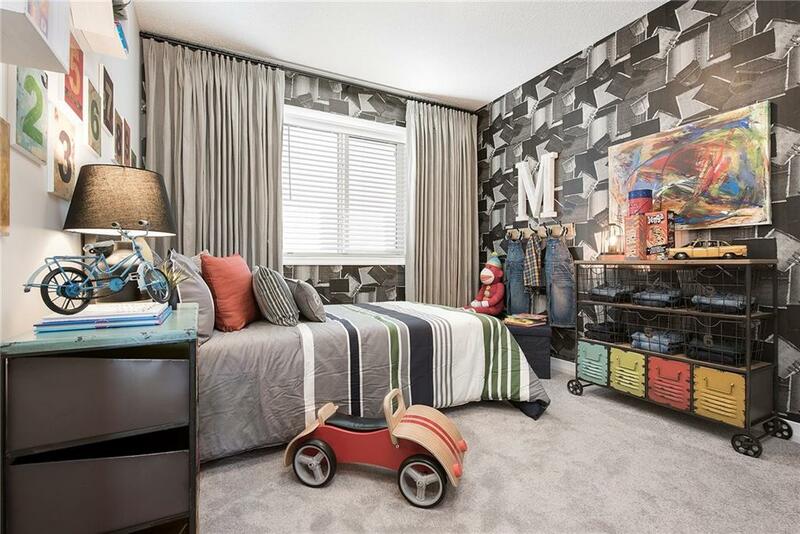 1700+sqft of modern & unique developed space featuring a generous dining room overlooking your spacious back yard with an adjacent large & spacious Great Room. 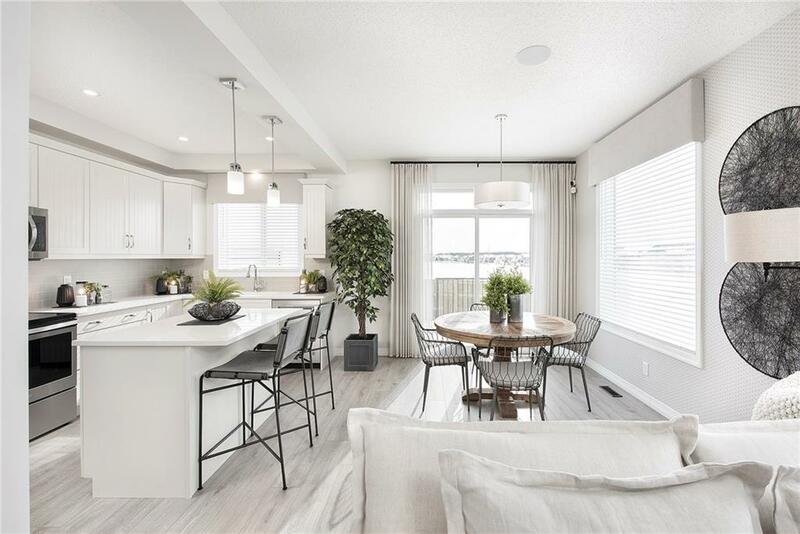 Beautiful Maestro Laminate graces the main floor with an open kitchen that boasts POLAIRE Quartz counters, centre island w/ flush eating bar, pendant lighting & upgraded WHIRLPOOL stainless steel appliances that include a fridge, range, built-in dishwasher & over the range microwave.To complete this great space you have a convenient half bath & spacious foyer w/ closet at the entry.2nd level features a Master suite w/ 4pc en suite w/ walk-in shower & walk-in closet,2 additional bedrooms for family plus Laundry.FULLY FINISHED BASEMENT offers a 4th bedroom,Full Bath,Rec Room & Crafts Area*PLUS SINGLE attached garage*Enjoy the wonderful community feeling of Cochrane & beautiful River Valley while being close to the big city!